Geodesy is the science that deals with the Earth's figure and the interrelationship of selected points on its surface. 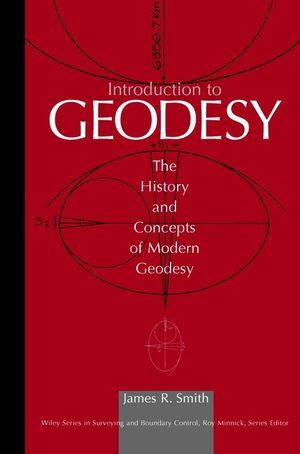 This is the only book on the market designed to provide readers with an introduction to geodesy without the usual emphasis on complex mathematics. Describes such positioning techniques as horizontal and vertical geodetic datums. Satellite geodesy, electromagnetic distance measurement, laser ranging and emerging technologies including the global positioning techniques and GIS are among the topics discussed. Features scores of two-color diagrams and examples to facilitate understanding. James R. Smith, former principal lecturer in the Civil Engineering Department at the University of Portsmouth, is a member of the Land Survey Division of the Royal Institution of Chartered Surveyors, where he has been active for nearly 30 years. Velocity of Light, EDM, and Laser Ranging.